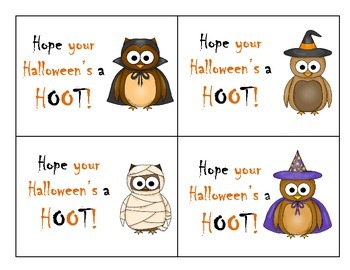 These gift tags are perfect for the little gifts you might give your students on Halloween. 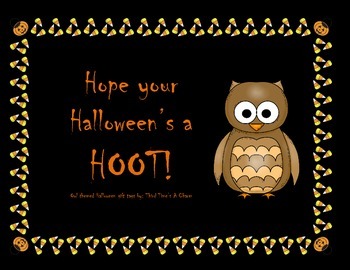 They read "I hope your Halloween's a HOOT!" 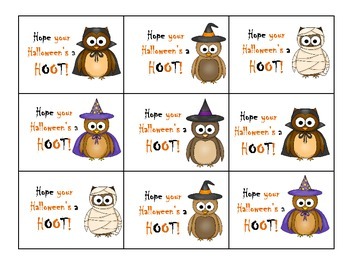 and come in five designs and two size options.